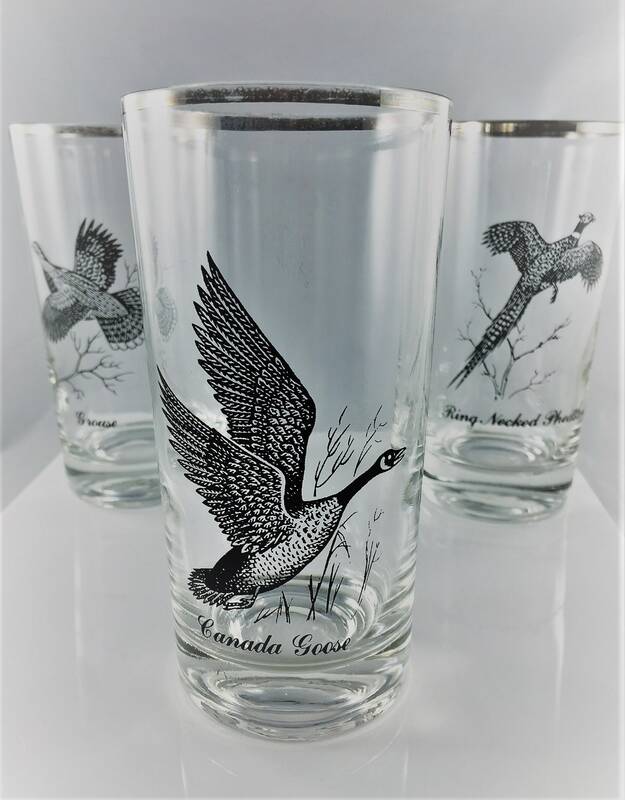 Featured is a very cool set of vintage tumblers from Federal Glass. 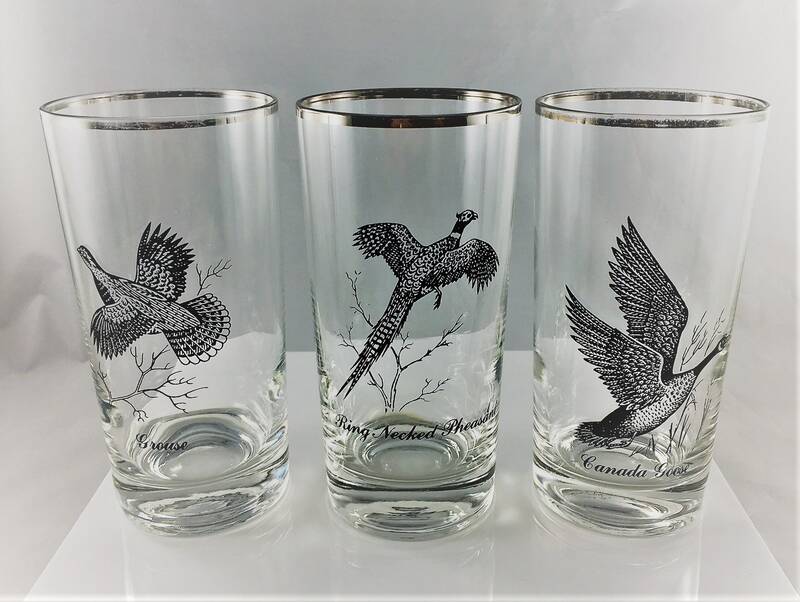 These 12 ounces glasses are from their Sportsman pattern and each has a different wild game bird. 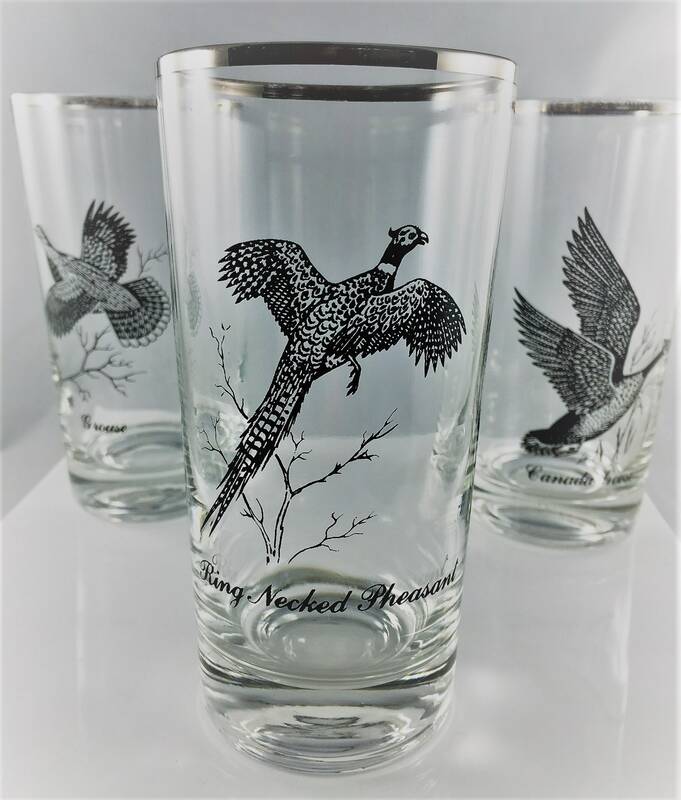 Included in the set is one Ring Necked Pheasant graphic, one Grouse, and one Canada Goose. 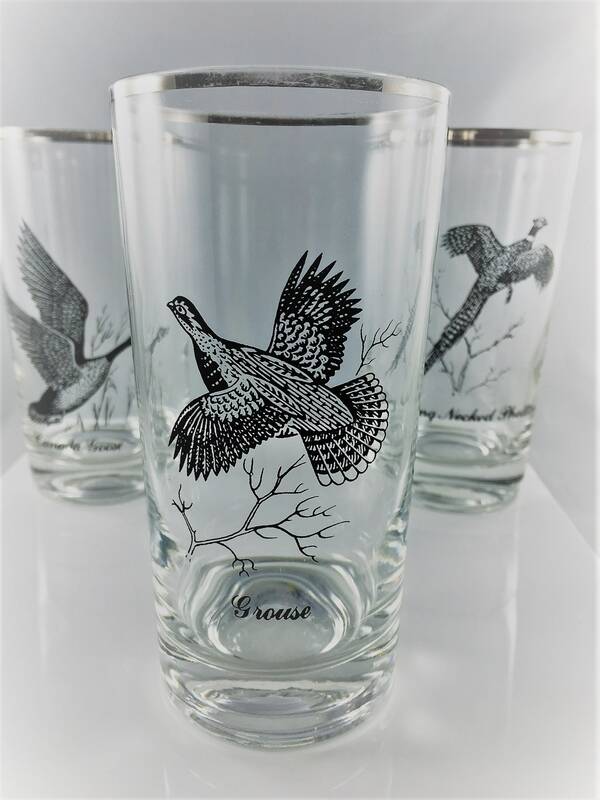 The tumblers are about 5 5/8 inches tall and 2 3/4 inches in diameter. All three are in great shape with no chips or cracks. Some wear to the silver around the rim. 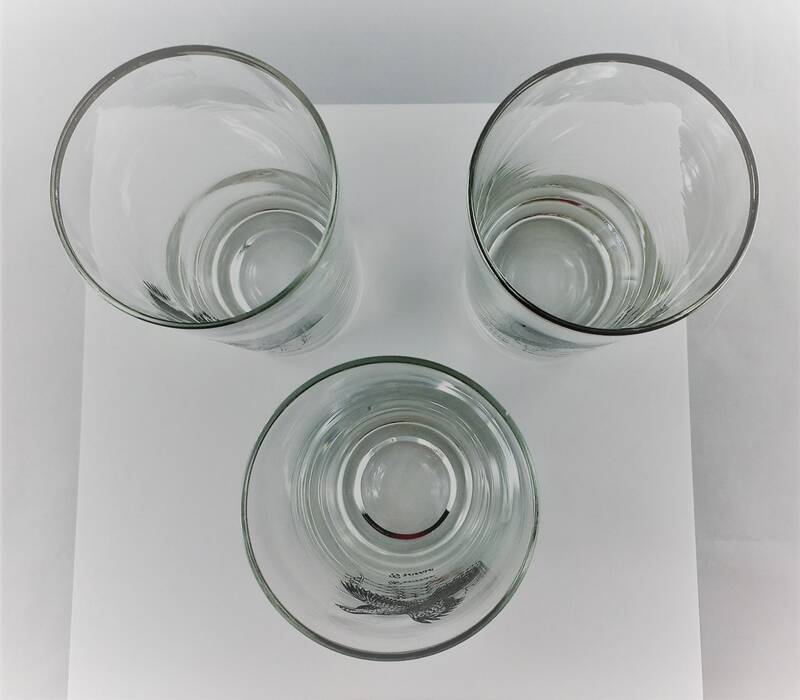 Set of three for one low price.